The choice of after-market lighting and other electrical accessories for your 4x4 is huge but, like anything else it pays to fit quality products. A dead battery will stop your 4x4 as fast as any mechanical fault and poor quality lights can be dangerous when driving in remote areas at night. We supply and fit a range of electrical accessories including; driving lights, fog lamps, work lamps, head-lamp upgrade kits, dual battery systems and battery upgrades. We select products from following brands (amongst others); Hella, IPF (ARB), PIAA, IBS & Optima. Please call us and we can discuss your vehicle lighting or electrical accessory needs. "Hella supplies all of the world's leading automobile and automotive-systems manufacturers, as well as the automotive aftermarket. The company's core fields of competency include lighting, electronics, complete vehicle modules, air conditioning systems, vehicle wiring systems and signal processing for original equipment manufacturers and the automotive aftermarket." Applications: Hella make a vast range of quality automotive electrical accessories including; lamps, light clusters, driving lamps, vehicle controls and switch gear. 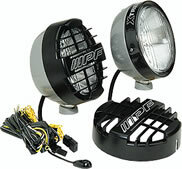 "Tested in Australia's harsh Outback where constant vibration and a severe climate quickly reveal weaknesses in a product, IPF lights have gained a reputation for quality and durability in the 4x4 market. From the strength of the mounts and body to the flawless lenses and reflectors, IPF continues to lead the industry with proven designs and brilliant optics." 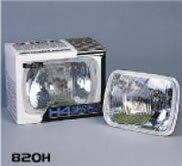 Applications: Spot, Fog and Driving Lamps, Upgrade Headlamp Inserts, Globes and Wiring Accessories. 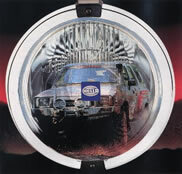 "PIAA manufacture high performance lamp systems and accessories for all motoring and motorsport applications. Established in 1963, PIAA has forged a reputation for top quality and continuous product innovation, improving visibility and safety for drivers all over the world"
Applications: Spot, Fog and Driving Lamps, Globes and Wiring Accessories. "IBS Intelligent Battery Systems is a young electronic company developing and producing electronic equipment and systems for stationary and mobile power supplies for leisure time and professional usage." "The OPTIMA® is like no other battery found in today's market. OPTIMA's unique Spiralcell design offers the greatest technology in providing a strong and clean power source that far surpasses any of today's traditional lead/acid batteries. With OPTIMA, you can count on longer lasting battery life under starting and deep cycle applications. The OPTIMA battery, with its spill-proof case helps to ensure the safety of the environment, your family and you. Powerful, 2x longer-life, spill-proof, vibration resistance, multi-position installation, whether you're working, driving cross country or just for play, let OPTIMA help deliver the power demands you require." Rokraider Bash Plate fitted with PIAA 1200 Series Lighting Kit. IBS Dual Battery Management System.